By Barbour And Company, Inc.
From St. Augustine to Mount Zion, from Ben-Hur to Beverly LaHaye, and from "A Mighty Fortress Is Our God" to Veggie Tales, the Christian world boasts a wide variety of intriguing, inspiring, and influential people, places, and things. 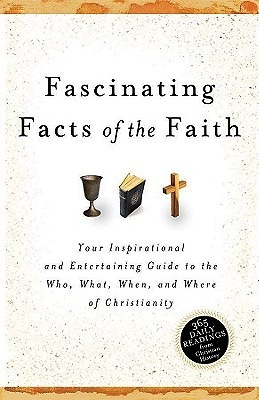 365 Daily Fascinating Facts of the Faith provides brief, easy-to-read entires for every day of the year, giving readers insight into the growth and development of Christianity from the early church until now. Each day of the week focuses on a particular man or woman of the faith, a notable place or event, an important book or favorite song, or other assorted "something of the Christian world. Fascinating reading. Author: Barbour And Company, Inc.